Dreams Are Calling. : Boardmasters 2016 | My Recommendations. Every August, thousands of people descend onto the UK's surf capital to checkout Boardmasters. Five days of surf, sun, skating and music will take over Cornwall's famous beaches this weekend. My cousin and I went a few years back, and this summer will be my brother's second time. A festival not to be missed, Boardmasters offers skateboarding, BMX and surfing competitions which are chock full of pros. The main music section is at Watergate Bay,and has played host to the likes of Ed Sheeran and Snoop Dog. Whilst Fistral Beach offers the comps and The Beach Sessions, intimate evening gigs right on the beach. The surfing comps have recently been added to the World Qualifying Series, so be sure to pay attention on that front. The Surf Village on Fistral Beach offers signings with the pros, a market area where you can sample local delights and competitions that you can take part in. (Don't worry they won't get you doing complicated skate tricks -I won a hula hoop competition there) As well as Surf Art, photography and film sessions. Add in your very own surf lesson and this is a jam packed weekend that should not be missed. I've posted below my recommendations music wise. EDM is a genre most people think I don't listen to. But there are a few DJ's whose music I enjoy. 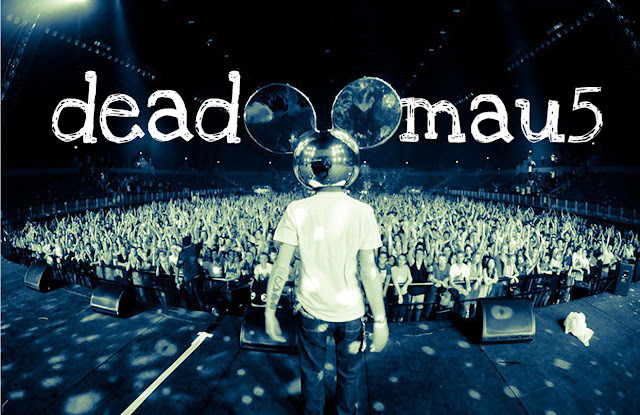 Deadmau5 is one of them. Deadmau5 is probably one of the known DJ's out there so I won't go too much into him, but what you need to know is he puts on an electric, LED display of a performance. That mouse head just makes things a little more mysterious and , let's be real, iconic. For Fans Of: Kaskade, Avicii, Calvin Harris. Find Him This Weekend: Saturday on the Main Stage at Watergate Bay. Catfish & The Bottlemen quickly became a crowd favourite after their debut album dropped in 2014. Forming in 2007, the North Wales lads offer a ready-to-conquer-the-world approach to rock music. With sing-along chorus' and that charming chaos of energy very few bands can pull off, think Oasis style, these guys are not to be missed. 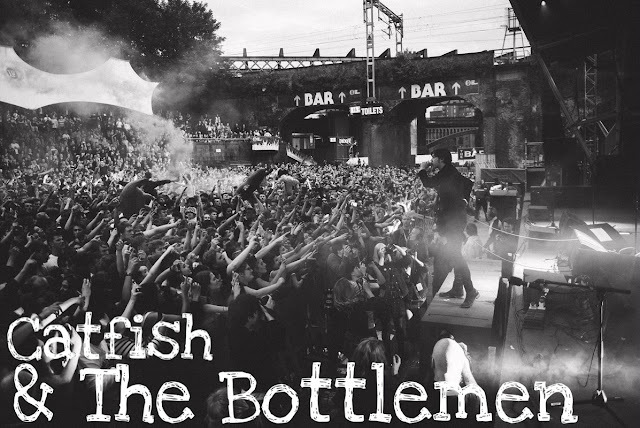 For Fans Of: Artic Monkeys, The 1975, Oasis, Nothing But Thieves. Find Them This Weekend: Friday on the Main Stage at Watergate Bay. 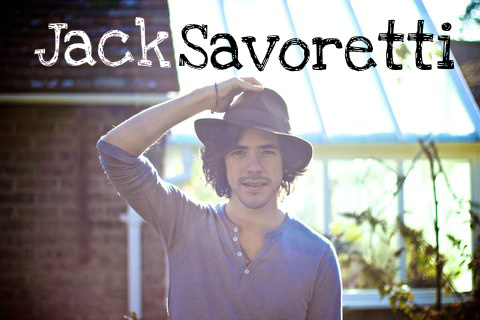 I wrote about Jack Savoretti at the beginning of the year in my "Ones To Watch" list, and with four full length albums and a slot at Glastonbury under his belt, Mr Savoretti hasn't done to badly for himself. This summer sees him playing multiple festivals amongst other shows, with his acoustic guitar and his delightfully mysterious blend-of-accents voice. Perfect for a hot, sunny afternoon. For Fans Of: Joshua Radin, Ben Howard, Benjamin Francis Leftwich, Damien Rice. Find Him This Weekend: Friday on the Main Stage at Watergate Bay. This North London rock group have a mysterious mix of 90's rock and a moody electronic atmosphere. 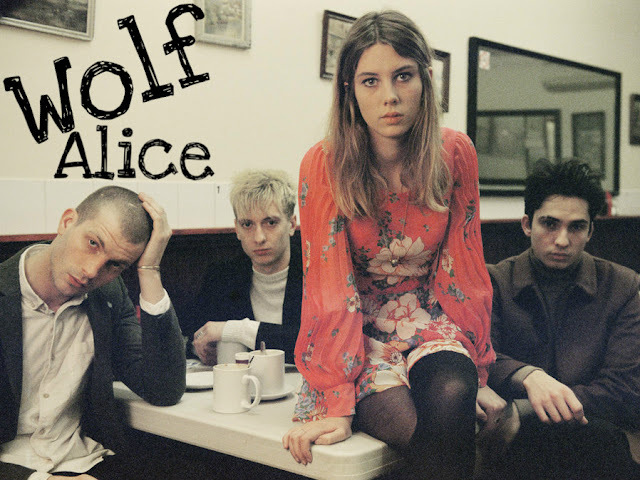 Wolf Alice have been on my radar for a while now, with their interesting blend of folk guitars and a sucker punch of grunge. Lead singer Ellie Rowsell, has a voice to die for singing to butter-wouldn't-melt lyrics that all of a sudden turn into a cackling, spitting thrashpop hell. For fans Of: Hole (obvs), Swim Deep, Black Honey. Find Them This Weekend: Friday on the Land of Saints Stage at Watergate Bay. 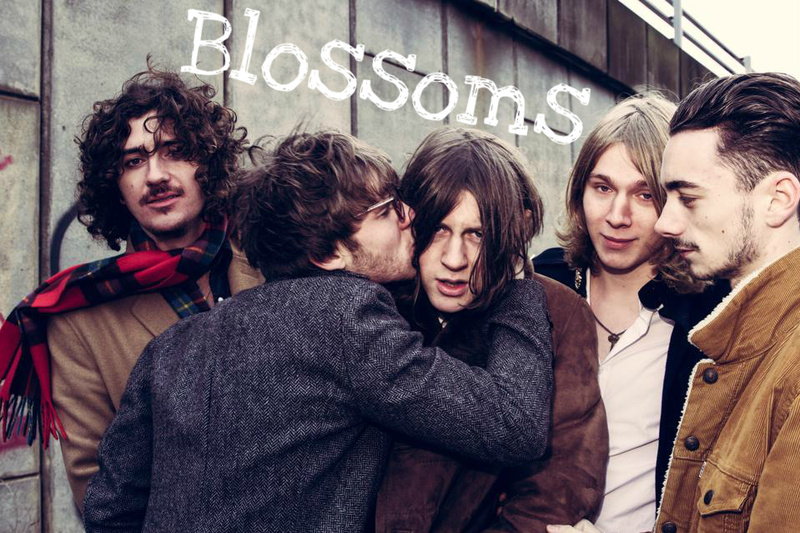 Blossoms is a band I've only recently discovered, but they're damn good. With their 60's beat influenced sound and their monster funk grooves and swagger, these guys mix synth-pop and indie into something quite beautiful. Their sparkling melodies and guitar hooks are sure to start a success that's only just begun. For Fans Of: Circa Waves, The 1975. Oh, how I love Foxes! 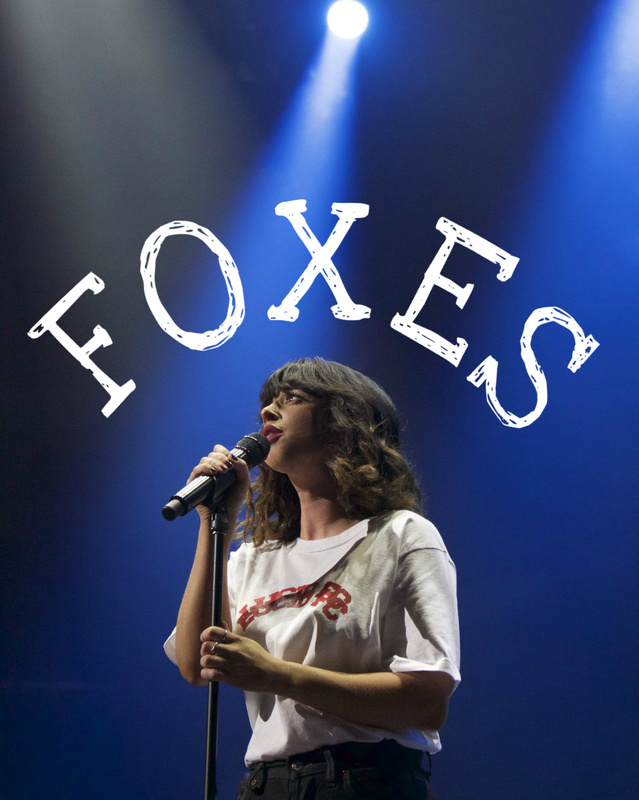 Much like Blossoms, Foxes creates a unique blend of synth pop and indie music, giving us all euphoria induced choruses and relatable lyrics. Her infectiously sweet songs mixed with her slightly husky voice provides us with that vital sultry, cool sound we need in the summer months. Showing us exactly why she's booked so many festivals over the last few years. For Fans Of: Ellie Goulding, Haim, Marina & The Diamonds. Find Her This Weekend: Saturday on the Main Stage at Watergate Bay. 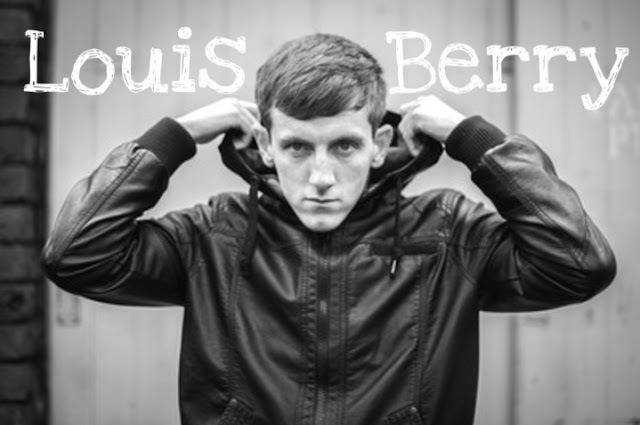 My brother and I saw Louis Berry back in April supporting Sunset Sons. This Scouse lad has a cheeky personality with original songs pouring out of his mouth. His music consists of his easy-going, laid back charm but there's a slight aggressive growl to his blues voice, giving his songs that extra depth. There's a scratchy edge to his music which in most cases would make things clumsy, unfinished even, but Louis' natural charm and husky voice make this all kinds of perfect. For Fans Of: Tyler Hilton, Jake Bugg. 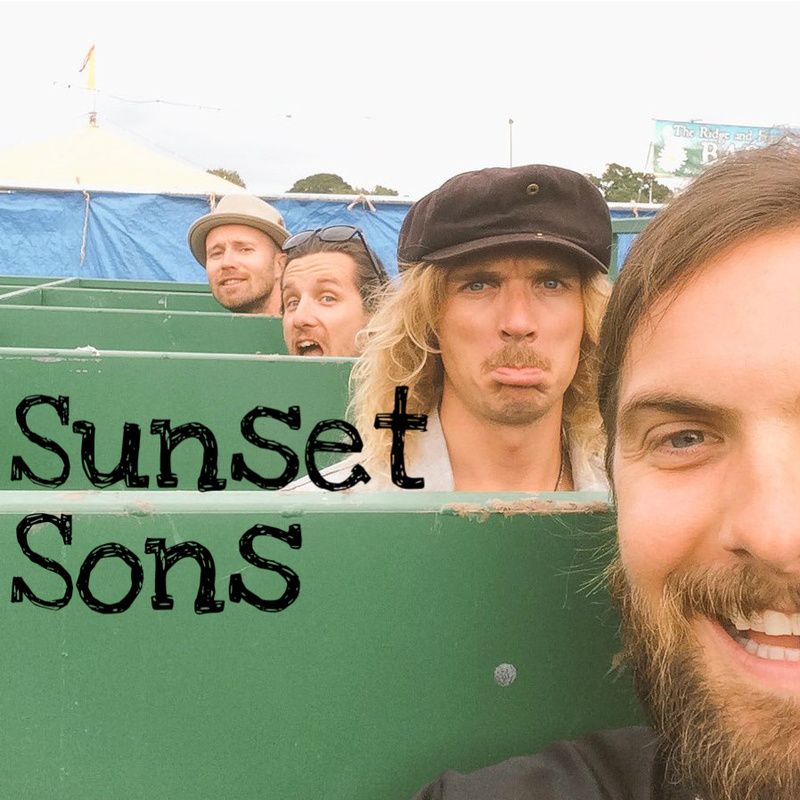 My brother actually saw Sunset Sons last summer at Boardmasters, him and his friend had tickets to their UK tour back in April, he said I'd like them, so I went with them and was Completely. Blown. Away. These Brit-Aussie boys are surf-rock-laid-back-good-vibes at it's finest. With multiple festival appearances, a support slot for Imagine Dragons, their debut full length and mainstrem radio support, you could say the past has been an absolute whirlwind for them. Sunset Sons might not change the world with their music, but they definitely make a damn good soundtrack for your summer. Don't miss them. For Fans Of: Circa Waves, Jason Mraz, Imagine Dragons. Find Them This Weekend: Thursday at The Beach Sessions on Fistral Beach. 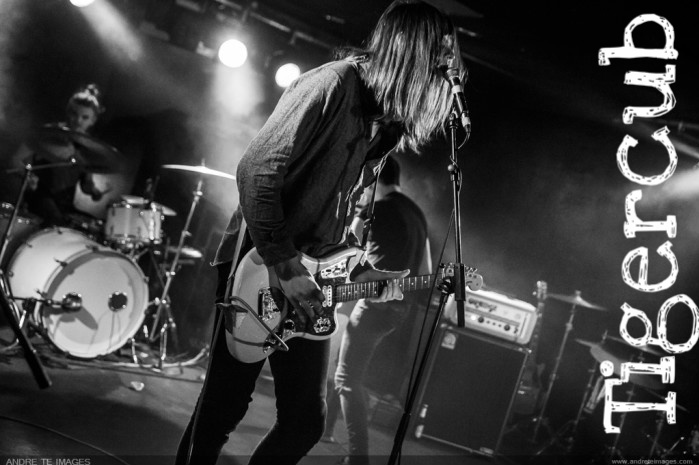 Tigercub's EPs are filled with distortion, gritted teeth and clenched fists. This trio would have definitely fitted in within the grunge movement back in late 80's/ early 90's. Tigercub are easily a band that's making the music they want to. Not the cookie cutter pop that sells mainstream. I love that. I love the scratches and tatters, the tears and aggression. With built in melodies that pour out their songs, this is a band that's raw. For Fans Of: Nirvana, Sonic Youth, Pretty Vicious, Royal Blood. Find Them This Weekend: Sunday on the Land of Saints stage at Watergate Bay. As for surfing, well be sure to check these guys and girls out! I'm so ridiculously jealous of my brother that he's going to Boardmasters this year. My cousin and I are planning to go again next year but unfortunately we couldn't this summer. Are any of you going to Boardmasters? Listening to: Crazy Town- Drowning.